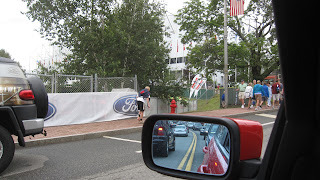 Who knows, there might be a philosopher or two amidst the almost 3,000 endurance hormone addicted enthusiasts, their entourages and the event-related workers; all here for the annual Ford Ironman Lake Placid. The race starts bright and early tomorrow morning July 26, with an invigorating 2.4 mile dip in the lovely Mirror Lake, located in the middle of the Village of Lake Placid. Packed with more running and biking sinewy people than most people ever see in one place, many roads are already closed or are reduced to one-lane traffic. The athletes’ village has opened and the countless lead-up events are well underway with their obligatory, booming public announcements. 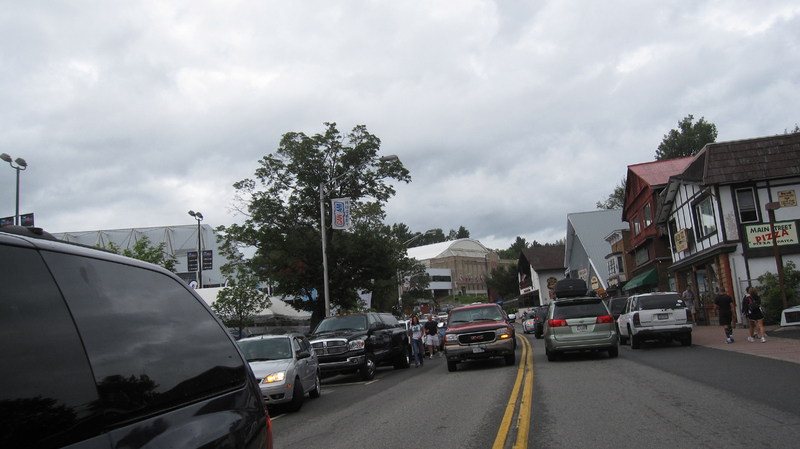 Energy is pretty darn high around Lake Placid these days. A trip down Main Street to the post office yesterday, which normally takes about 45 seconds, took 20 minutes and turned into a philosophical experience of sorts. I knew I had to get out of town when I practiced deep breathing to avoid running over anyone, sinewy or Clydesdale, who had the misfortune to step in front of my car. 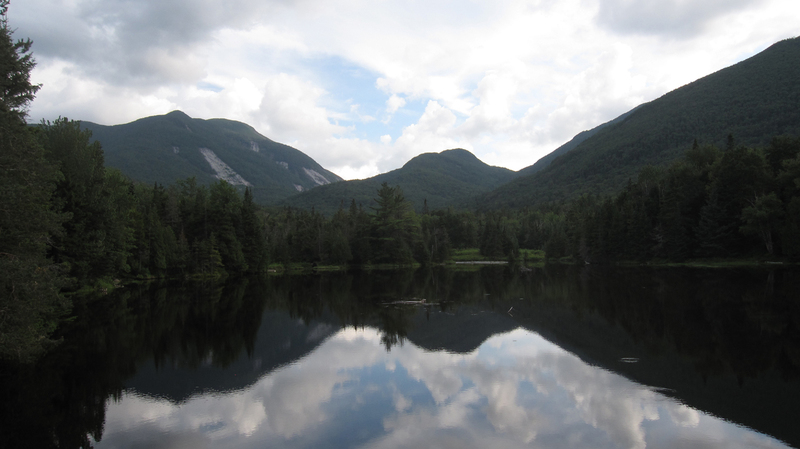 It is tough to imagine a philosopher coming here to be inspired by Adirondack solitude this week. But indeed, in the 1850s, Emerson and his fellow philosophers reveled in the natural beauty and remoteness of the region. Quiet, solitude and active time spent in nature is known to produce profound and deep thoughts. After all, even Albert Einstein was an avid Adirondack sailor. 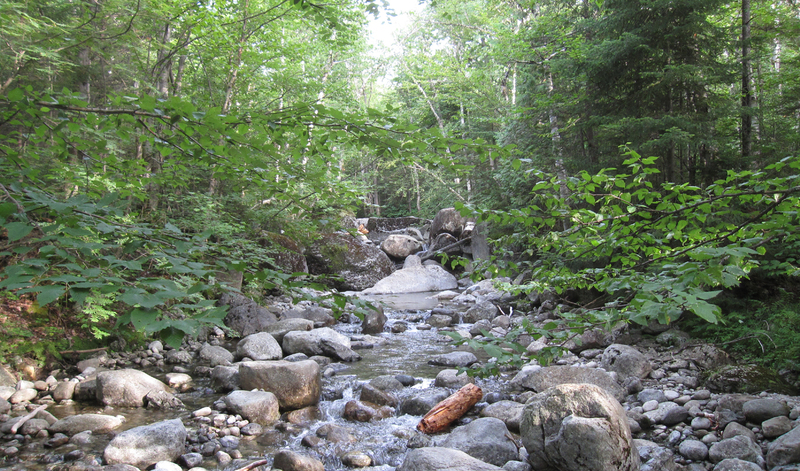 So, after a few days immersed in Ironman and the busy energy of the Village of Lake Placid, I took a page out of the Follansbee Philospher’s Camp book and headed to the wilderness via the Marcy Dam Truck Trail. 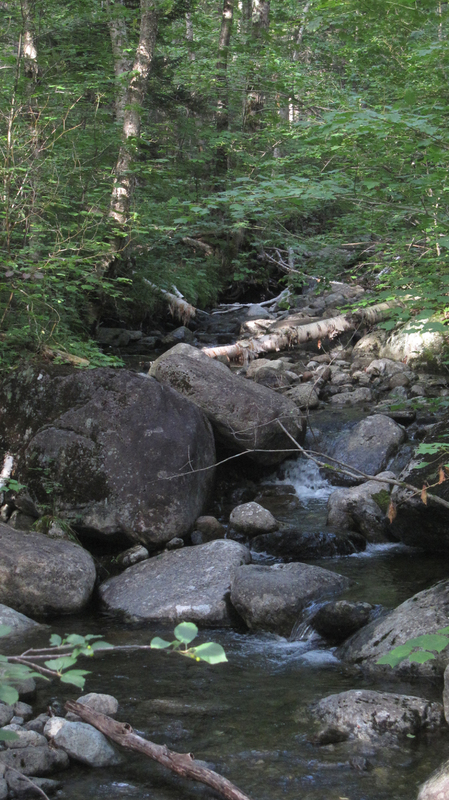 Fortunately for me, one of the many wonderful aspects about living in or visiting the Adirondacks is the incredible fact that you can be very close to the Village of Lake Placid but still have a wilderness experience with very little effort. A mere 20 minutes after deciding to head to the woods, we were at the trail head. 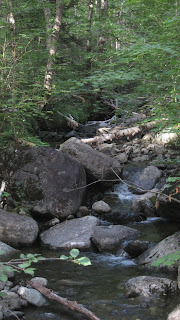 Over the course of our 6-mile excursion past rushing streams and babbling brooks, we saw a total of five other people. Thankfully, a few moments spent relaxing immersed in this scene produced the famed medicinal effects of nature.